A Bersatu division in Kuala Lumpur became embroiled in controversy after being accused of making up to RM400,000 by scalping Ramadan bazaar traders. 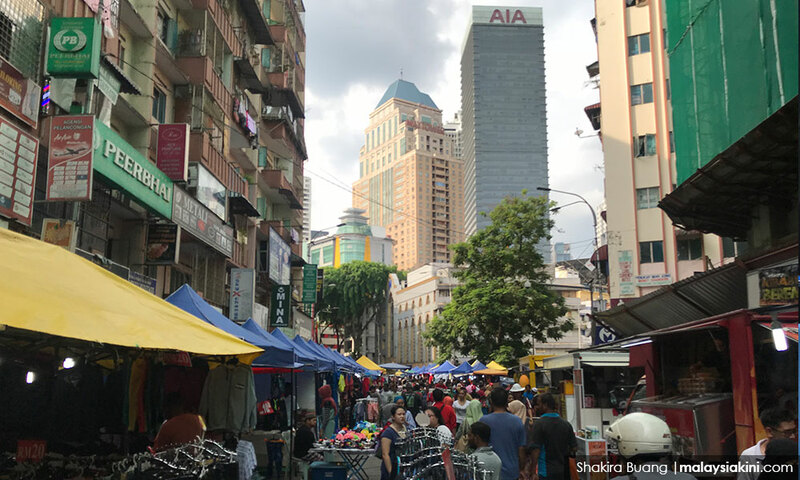 At the centre of the controversy was Bukit Bintang Bersatu Youth chief Mohd Noorhisyam Abdul Karim who denied selling bazaar lots he obtained from the City Hall (DBKL) at inflated prices. The traders involved along Jalan Masjid India said they had no choice but to fork out more than RM3,000 per lot. Umno's Lokman Adnan questioned Pakatan Harapan's "hypocrisy" in obtaining the lots from DBKL through a support letter instead of an open tender. Agong Sultan Muhammad V defended the royal institution, stating that it is crucial in providing stability during times of crises. Chinese ambassador to Malaysia Bai Tian put his Malay-speaking skills to the test in conjunction with the Hari Raya festive season. Bakri MP Yeo Bee Yin successfully tracked down a village folk who donated RM500 to her before the May 9 general election and hold a buka puasa session with his family. Electoral reform group Bersih wants the remaining commissioners on the Election Commission (EC) to be dismissed after it was announced its chief was leaving. Bersih also proposed that the new EC chief be nominated from the civil society. The Umno veterans' club says BN should be dissolved as the spirit of the alliance no longer existed. MIC central working committee member M Saravanan said there was no need to leave BN over one electoral defeat after more than 60 years of partnership in BN. Bersatu filed a total of seven election petitions to challenge the results of the last general election. Defence Minister Mohamad Sabu pledged to get to the bottom of a number of scandals in his ministry. Federal commercial crimes director Amar Singh said his department is still estimating the value of the items seized on May 18 from three units at the upmarket Pavilion Residences in Kuala Lumpur linked to former prime minister Najib Razak and his wife Rosmah Mansor. Johor opposition leader Hasni Mohammad welcomed the federal government's decision to postpone the Kuala Lumpur-Singapore High-Speed Rail instead of cancelling it outright. The Medical Practitioners Coalition Association of Malaysia urged the Health Ministry to investigate the cartel controlling the supply of medicine to public hospitals under the previous BN government. Prime Minister Dr Mahathir Mohamad will hold a Hari Raya open house at his official residence in Putrajaya. Najib is also hosting an open house in his constituency of Pekan.